Meals for both patients and staff at the King Edward VII Memorial Hospital are now prepared with fresh herbs grown at the Mid-Atlantic Wellness Institute [MWI] by service users of the Devonshire facility. The garden project at MWI started in March with between six and eight individuals from the learning disabled and the geriatric services. Participants planted seedlings in a previously grassy area on the campus. Then they weeded and watered the plants regularly. “Service users involved in this project have enjoyed watching the plants grow and taken pride in the results their efforts have made,” said New Dimensions Recreational Assistant Donovan Williams, who led the programme. This month the herbs ready for harvesting include chives, plain Italian parsley, sage, lemon balm, curly parsley, Thai basil, mint and sweet marjoram. 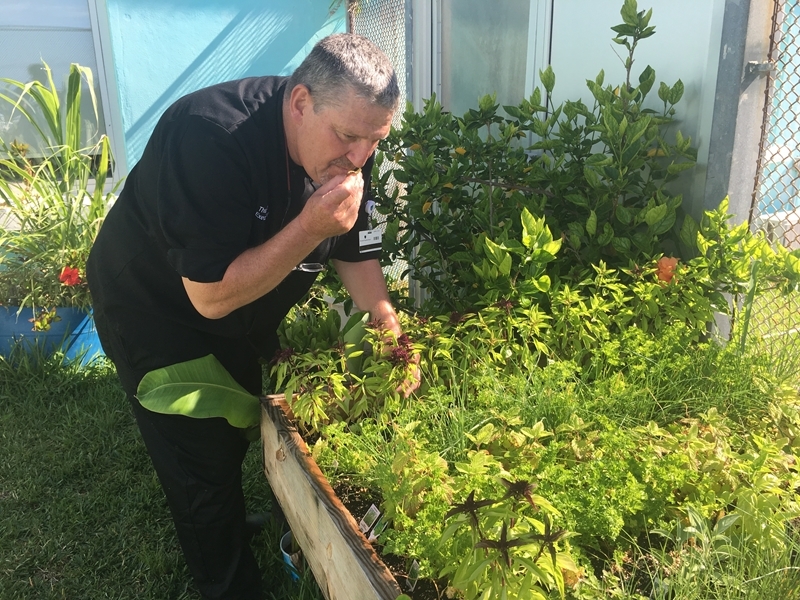 Bermuda Hospitals Board Executive Chef, Thomas Frost, has experience using garden-fresh produce and says it’s a great addition to meal preparation at the hospital. The use of fresh herbs in recipes in KEMH’s kitchen was introduced a few months ago. 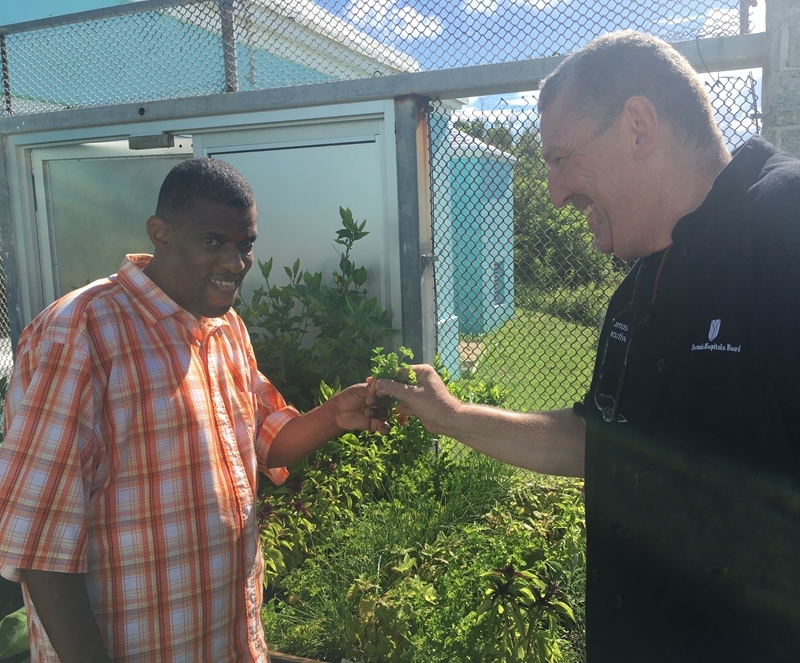 “This new MWI homegrown plants will further enhance our commitment to culinary excellence,” said Chef Frost. “We are currently using fresh chives, basil, cilantro, thyme, parsley, rosemary and mint, with new varieties being introduced, according to seasonality,” he added. Having a garden at the hospital was a recommendation from the BHB Open Space Community event in February 2017, and the benefits of health, sustainability and affordability raised in conversation are being realised. While better taste is an important benefit, the MWI project represents an estimated savings of $120 a week in the Food Services Department. Great idea. Good to see so out of the box ideas with multiple benefits. Congrats to BHB and Chef Thomas Frost!